Biggest complaint is thepoor audio quality ofyour guests calling inby phone...Garyâs callsare the worst.I cancelled my Nation subscription because it was too New York-centric.Need to cover the West,Colorado just really wentblue with first gay governor.But work on the audio quality of your phone-in guests. I love the podcast usually, but the tagline "political talk without the boring parts" is really awful and makes me cringe every time Jon Wiener says it. It wasn't being targeted at nine year olds last time I checked. Canât wait for each episode. Iâm so tired of episodes on this podcast about 1) the White working class 2) Bernie Sanders.This podcast is overlearning lessons from 2016, at the expense covering a much broader, inclusive pulse of the progressive movement. Love this podcast. Informative guests and topics. Thank you! Fun, intelligent, and relevant analysis that is not only interesting, but helpful to our organizing. Thought provoking, informative and enjoyable. The podcast gets to the meat of its subject. The podcast uses its time wisely and it's never boring. It's an oasis from mainstream circuses that pose as political talk shows. The guests are pretty good, but Jon Weiner's mic presence is just awkward, at least to my ears... It sounds far too rehearsed and monotone, lacking any energy, excitement, or spontaneity. His questions to guests have this pandering faux-objectivity quality to them that I find really annoying... Just say what you think, man. It's definitely oriented toward people who like the dull drum of public radio, but I am not one of those people. I listen sometimes for good guests anyway. Dessert for the progressive brain. This podcast is excellent. Itâs thoughtful and informative, and doesnât shy away from difficult questions. Really great guests and fascinating interviews. 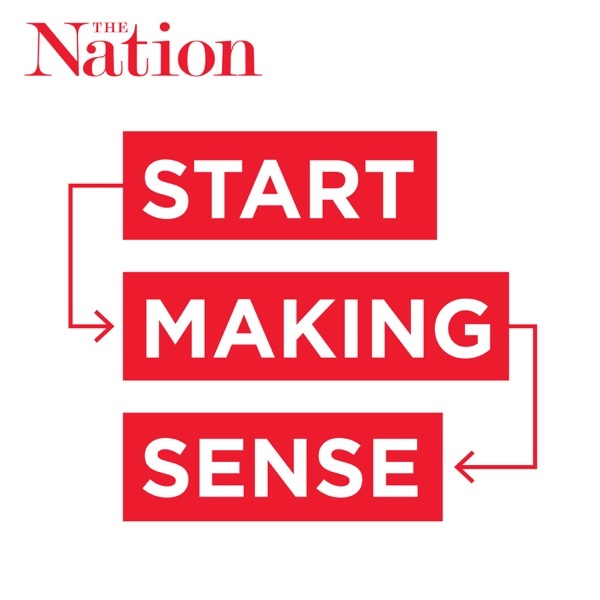 "Start Making Sense" fills the hole in my podcast universe for substantive, lively progressive political/cultural conversation. This is an outstanding podcast, informative, thoughtful, well-edited, and the guests always surprise me with an argument I hadn't considered before. Thanks for making it. Great interviewer and fascinating guests. More, please! So glad I found this, the guests are great. The variety is wonderful too. Highly recommend! Excellent guests, interesting discussions, fantastic host! Iâm going to keep listening. Please, make the podcasts longer. Show covers very interesting topics with interesting guests, and is a good counterweight to the mainstream media. If you like it, I would also recommend Democracy Now and the Ralph Nader Radio Hour. Smart and fun--well worth a listen. Both smart and accessible. Great guests. Highly recommended. With all of the misinformation in the media today, it is very refreshing listening to Start Making Sense. The interviews are highly engaging, informative, and provide perspectives you will not find anywhere else. I am very happy to have subscribed to this excellent podcast and look forward to hearing more! highly recommended: beyond smart. insightful. quick.always interesting. funny. great guests. great host.